Funny Little Kid Boy Flying In Universe By A Space Shuttle Picture Painting With Colorful Chalks. Creative Leisure For Children Outdoors In Summer. Royalty Free Fotografie A Reklamní Fotografie. Image 66274542. 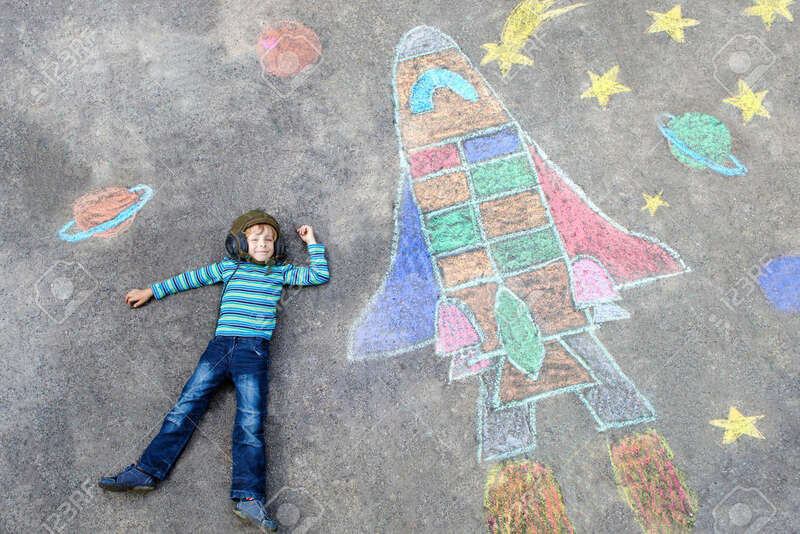 Reklamní fotografie - Funny little kid boy flying in universe by a space shuttle picture painting with colorful chalks. Creative leisure for children outdoors in summer. Funny little kid boy flying in universe by a space shuttle picture painting with colorful chalks. Creative leisure for children outdoors in summer.